KUB forming higher high & higher low. If able break through upper uptrend resistance, it will kick off another wave of bull run.. 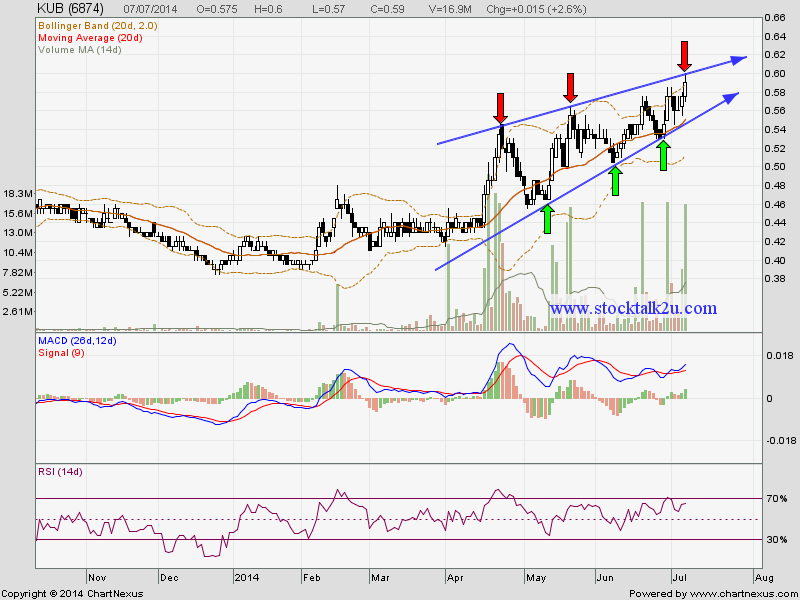 If retrace down, RM0,57 will be immediate support.